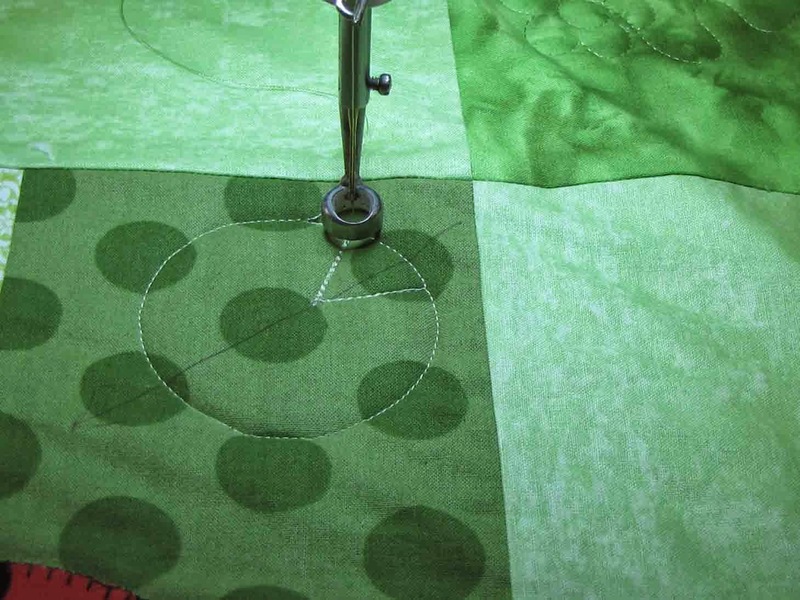 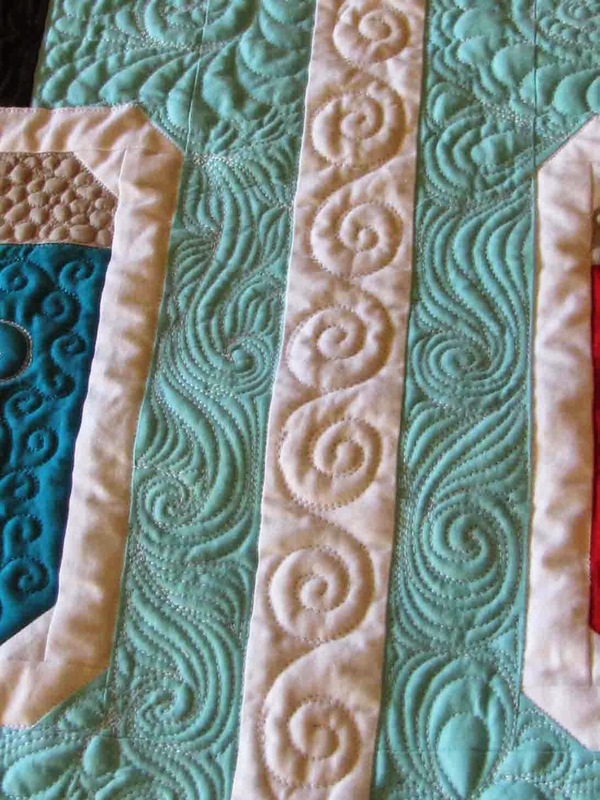 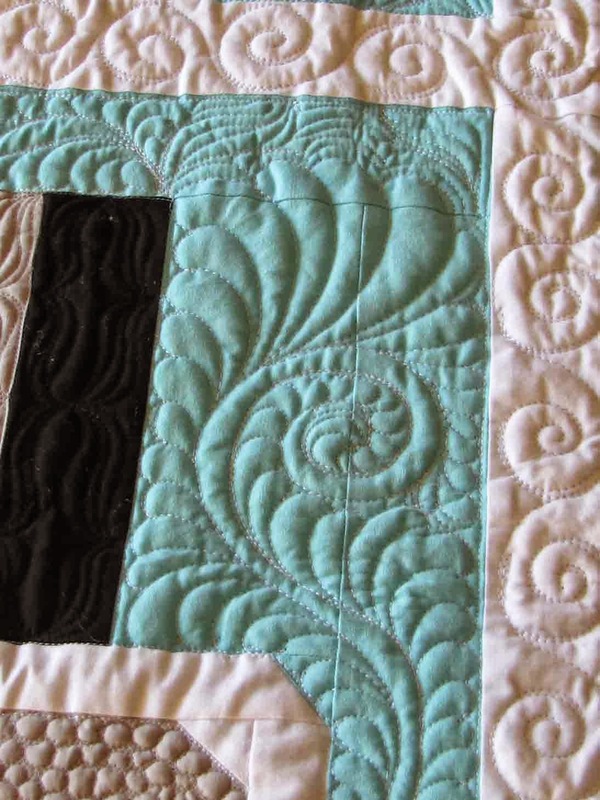 I've been quilting some fabulous quilts in the past few weeks. 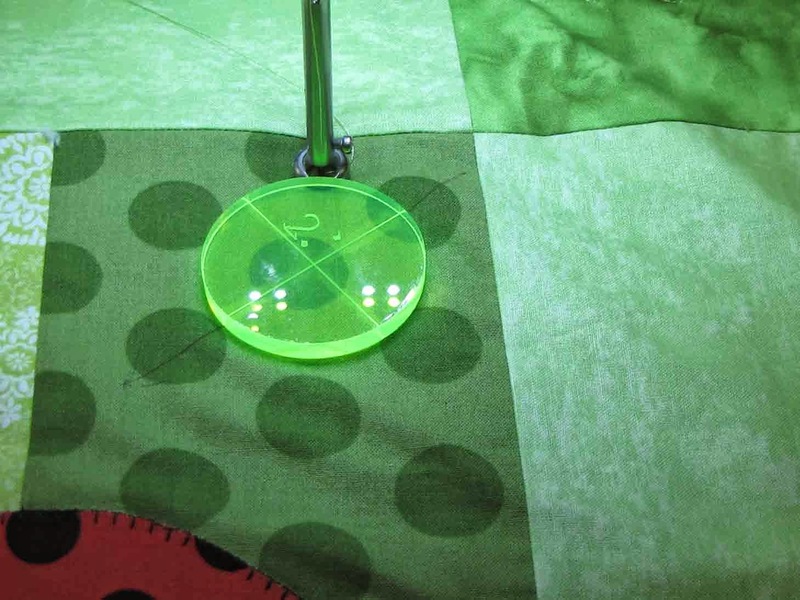 Some of them are included in this post. 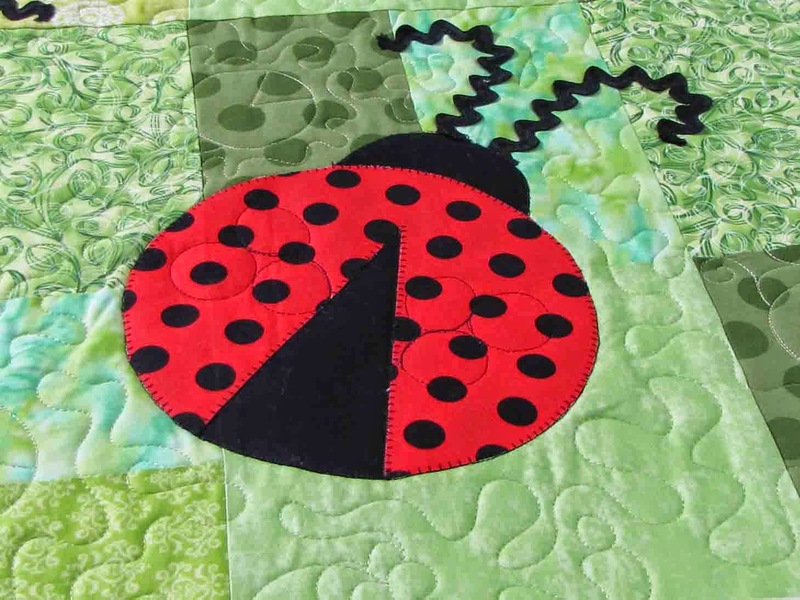 Insects seem to be popular! 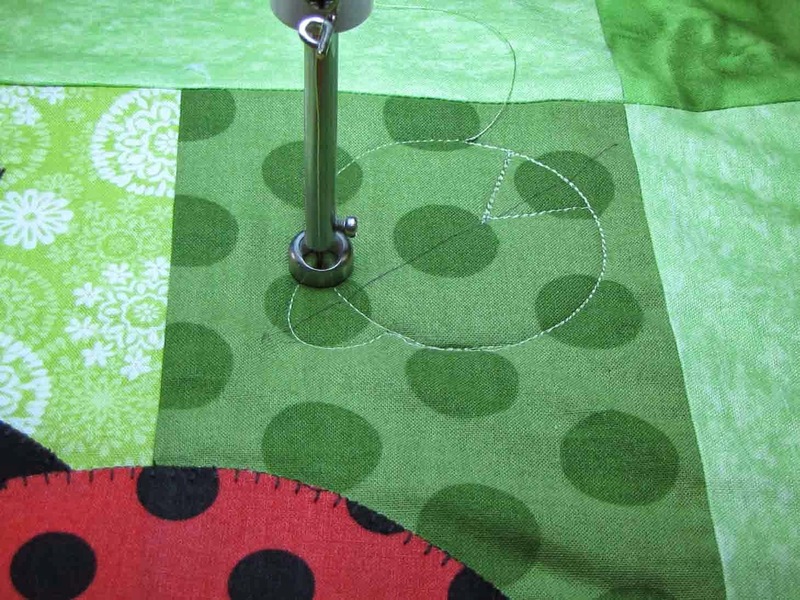 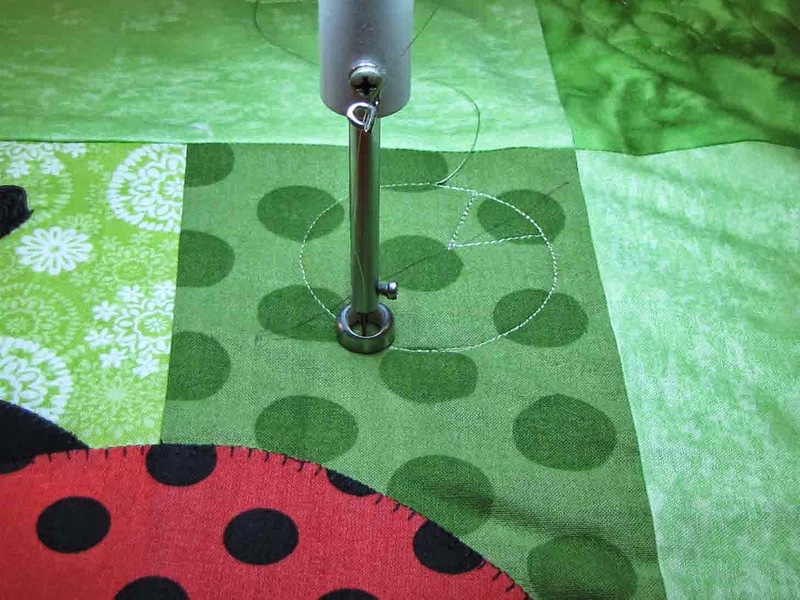 Kristie did a ladybug quilt and I used dragonflies as a quilting motif in one of my quilts. 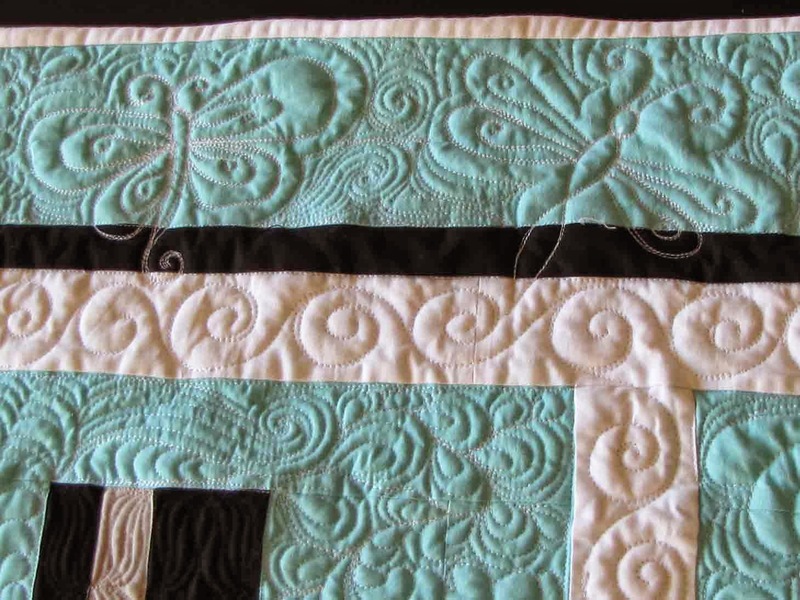 I'll include a tutorial on how I did those if you're interested. 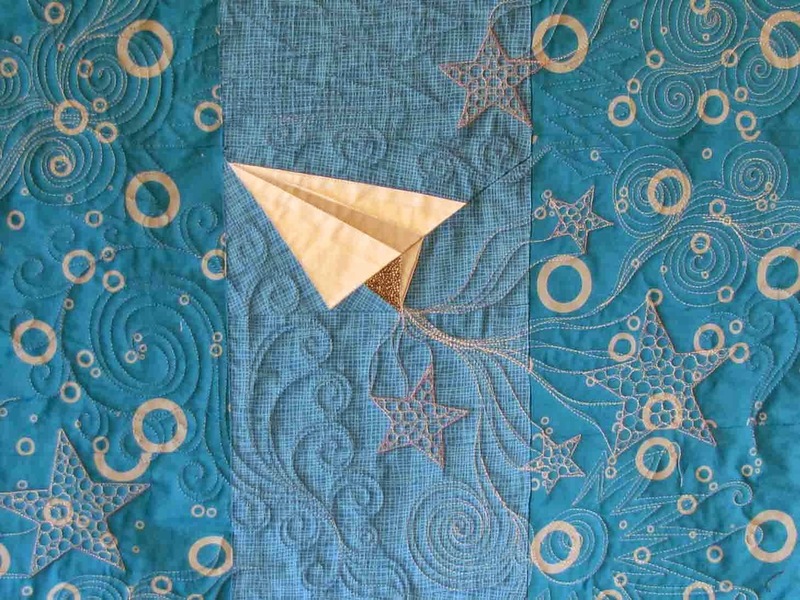 First up is a little quilt I made - paper airplanes. 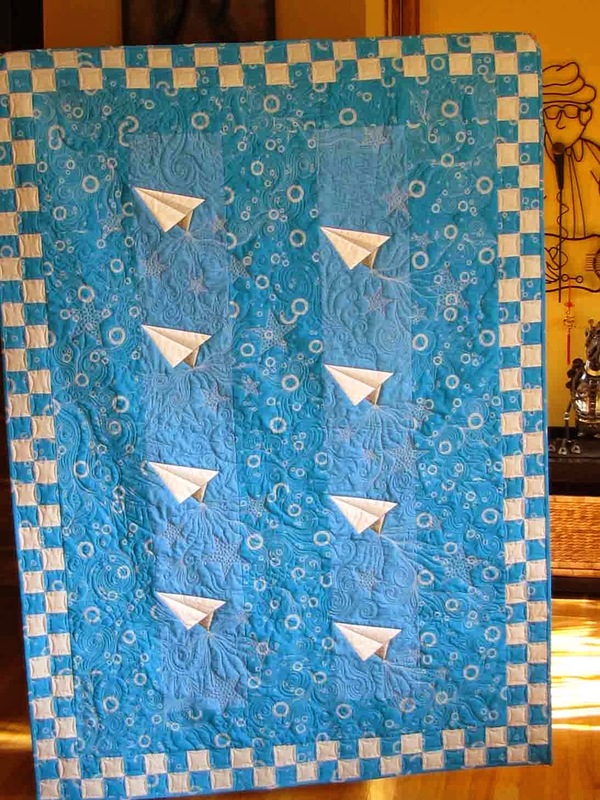 I wanted to quilt it such that the planes look like they are blasting through space. 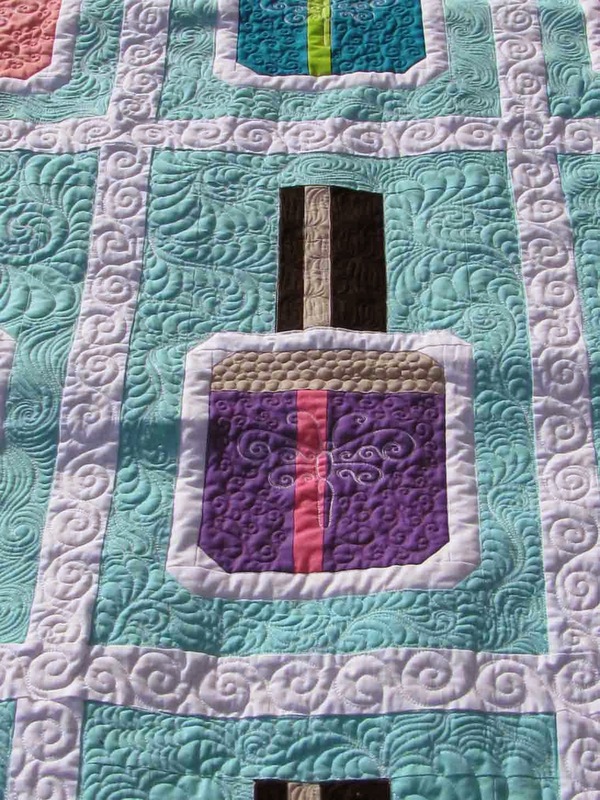 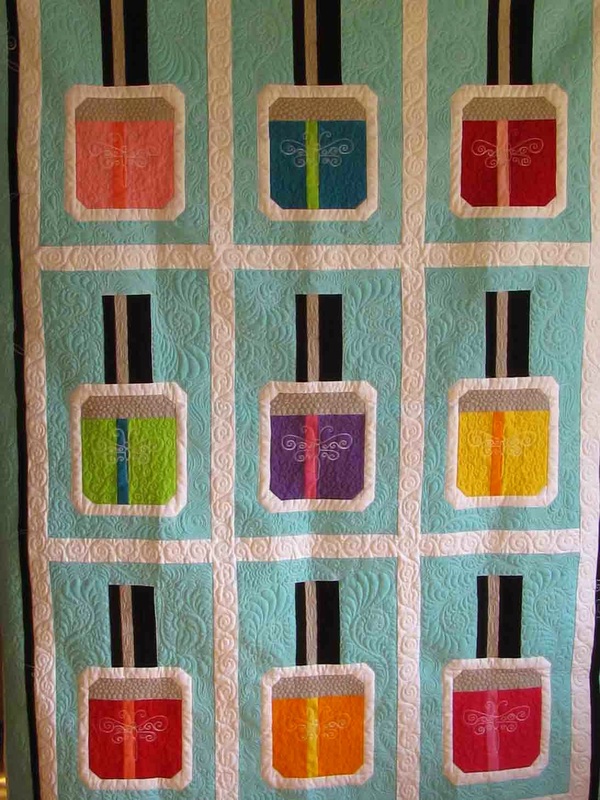 This is another of my quilts - made for my daughter-in-law's mother, who likes to get manicures. 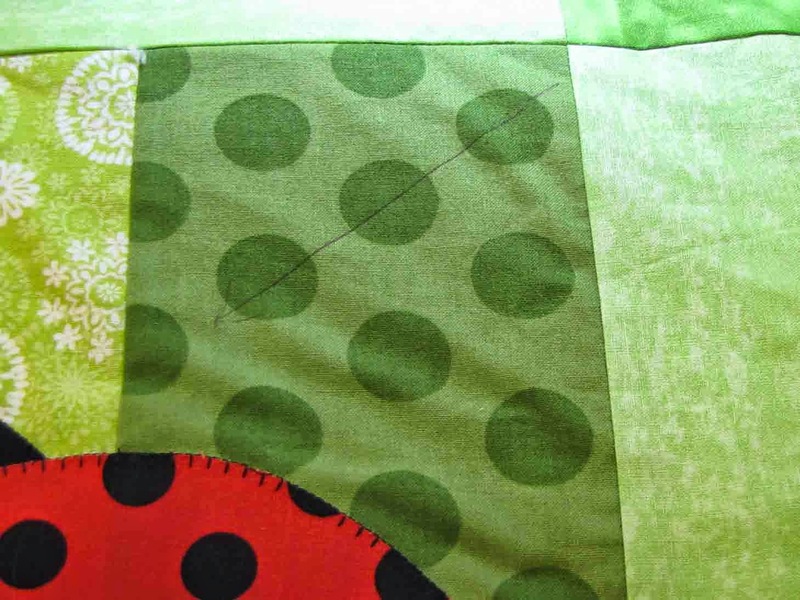 DIL also told me that her mom really likes dragonflies. 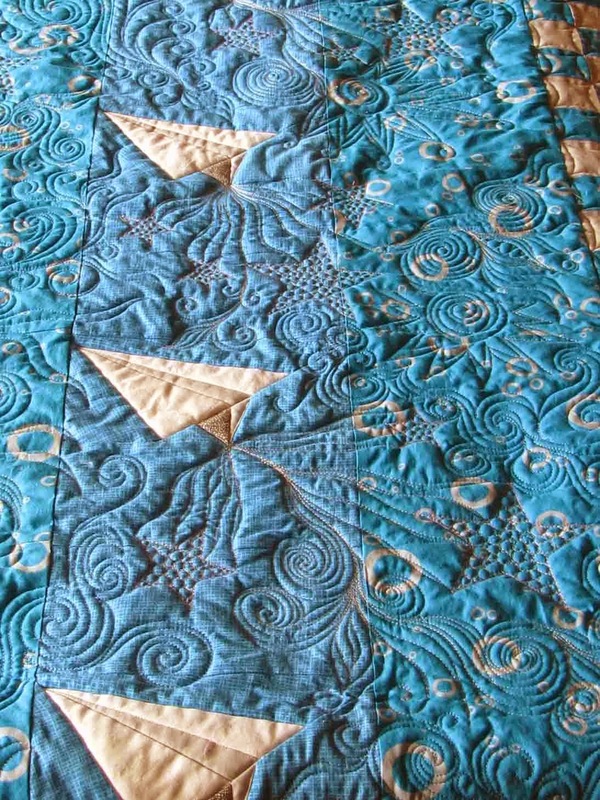 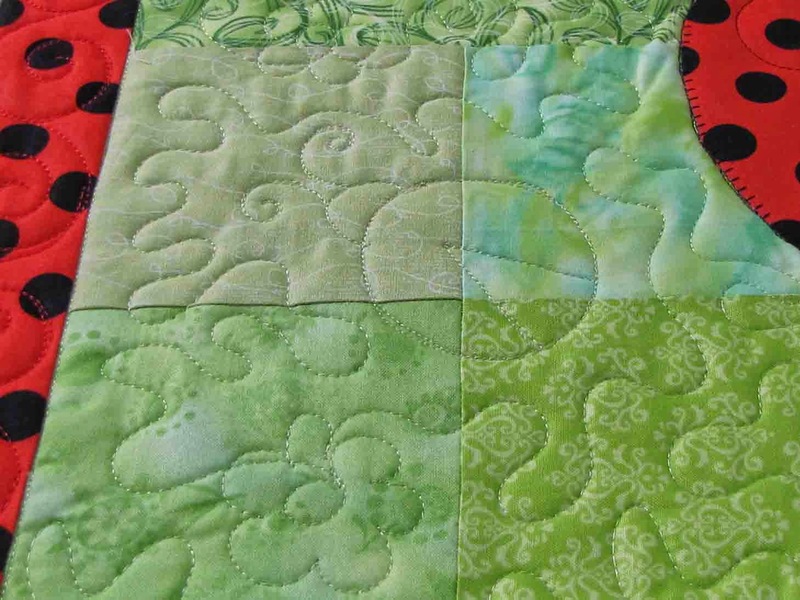 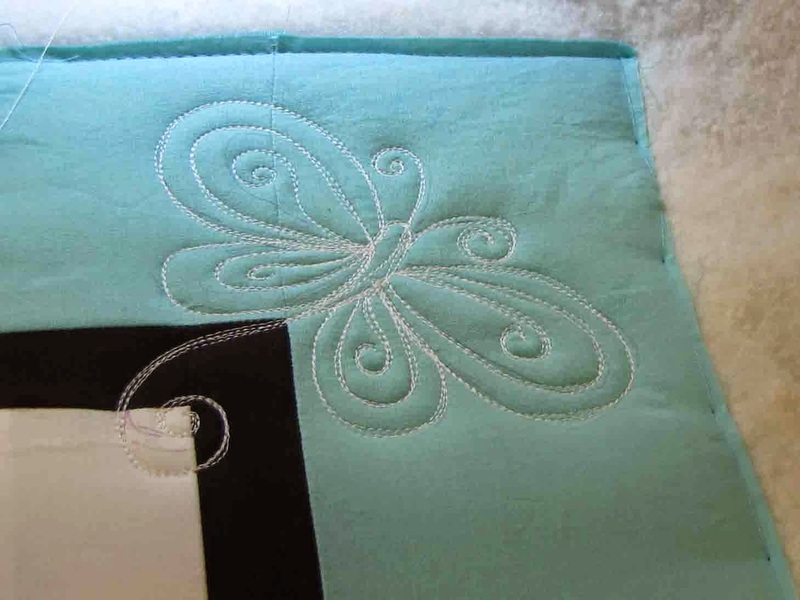 Since I was using solids, I decided to incorporate dragonflies into the quilting. 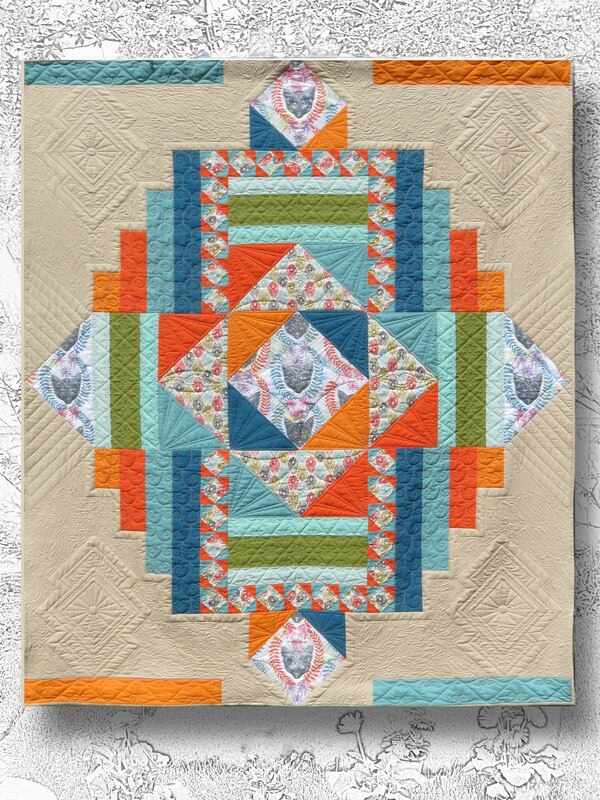 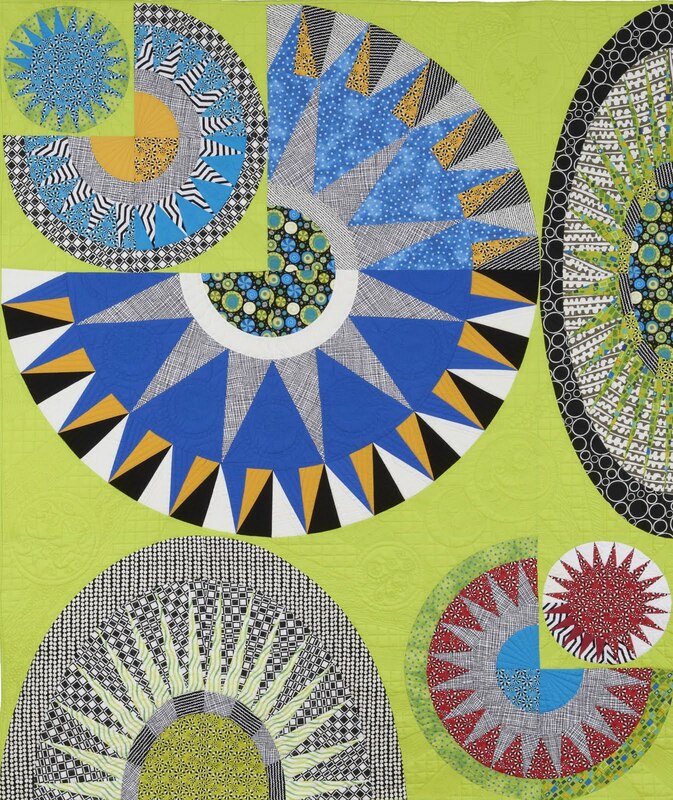 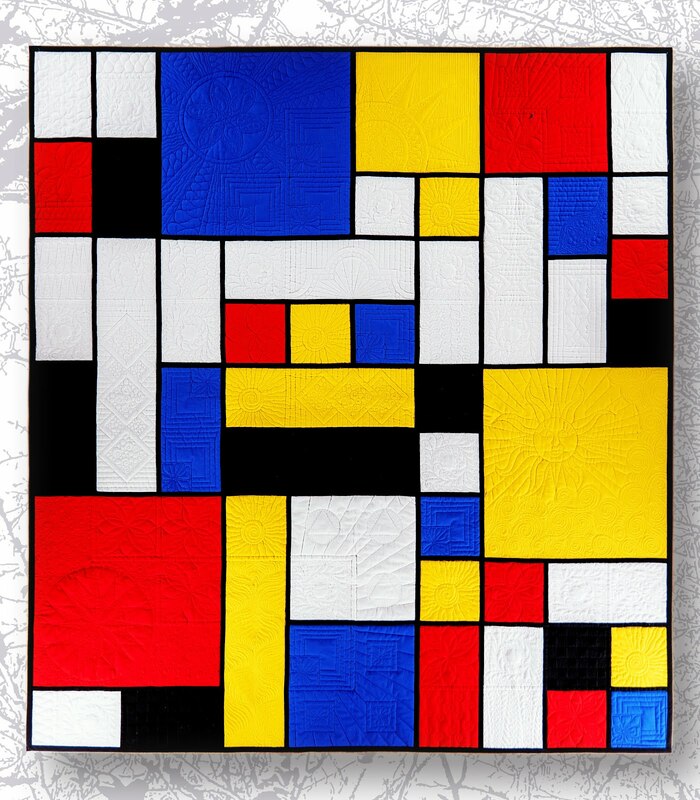 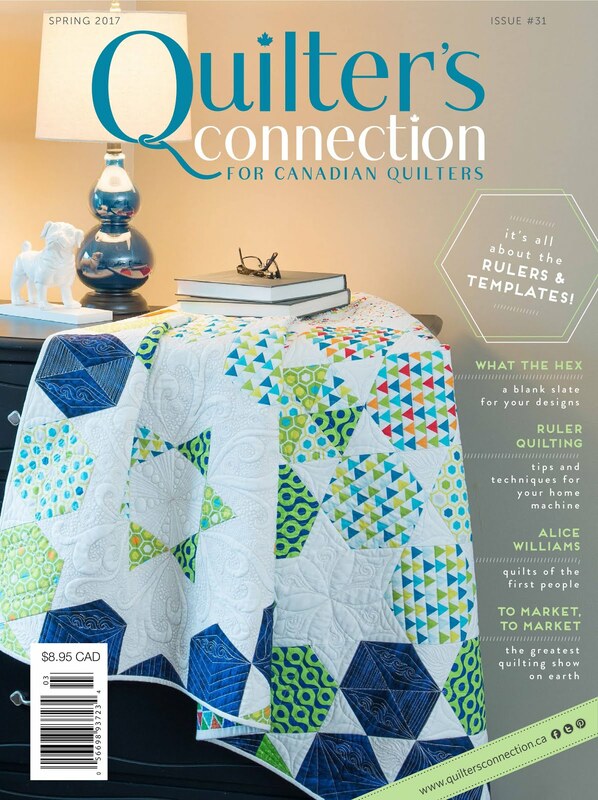 This would be a "modern" quilt because of the use of solids and the not traditional block design. 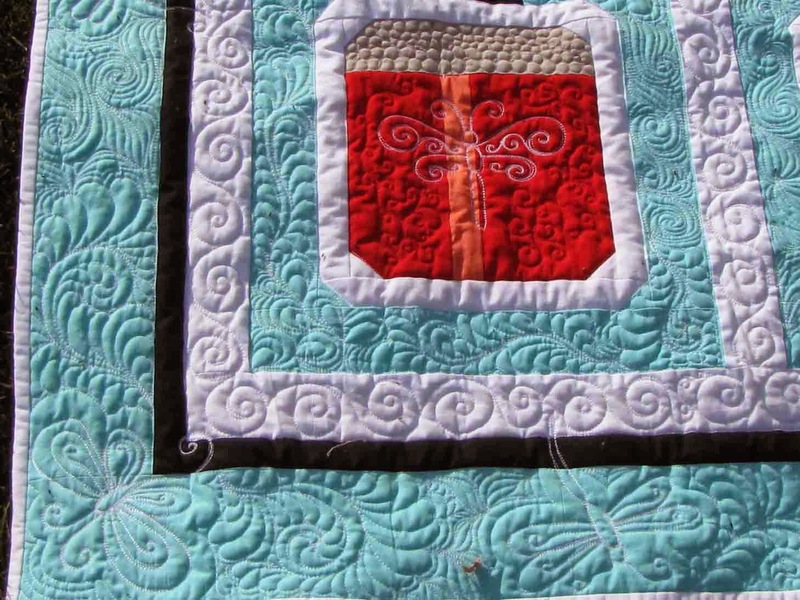 Typically I would quilt something like this with a more modern style of quilting, but because I was using dragonflies as a motif, I thought something more whimsical would be appropriate. 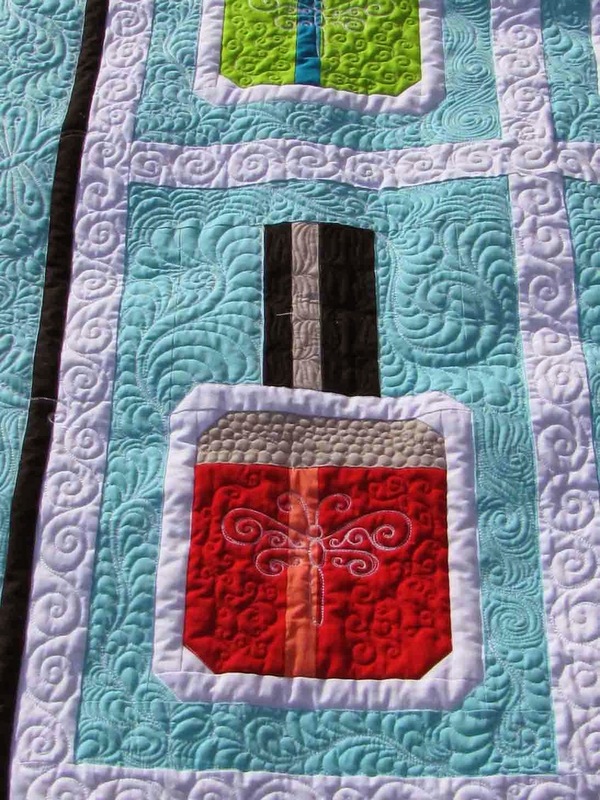 I put a dragon fly on each bottle to sort of look like a label or logo - and I placed dragonflies in the border. 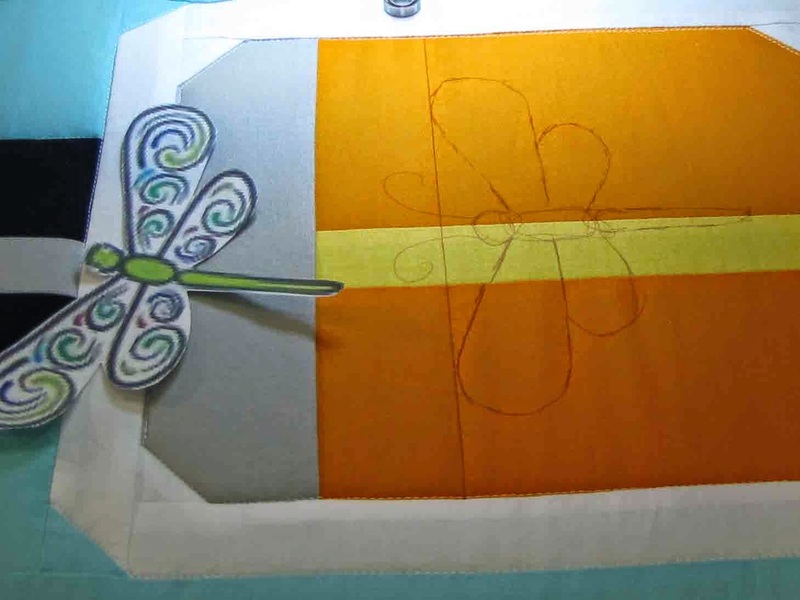 First I found a few illustrations of dragonflies using Google (one of the best quilting tools! 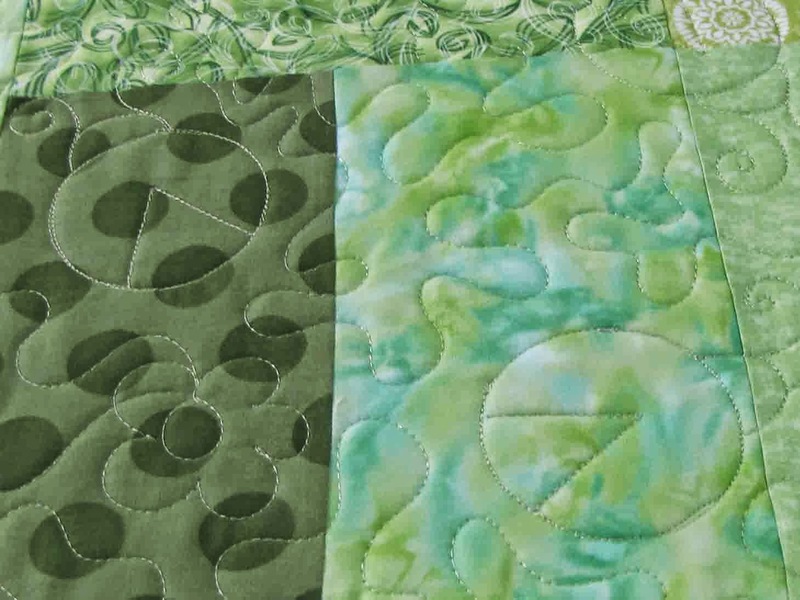 ), then I right-sized them and printed them and cut them out. 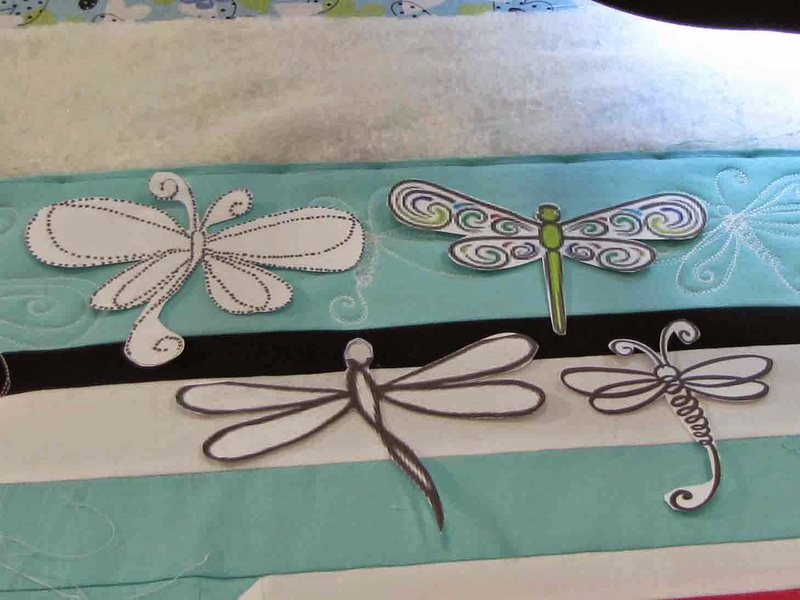 Each time I wanted a dragonfly, I chose the one I wanted to use, then drew around it using an air soluble marker. 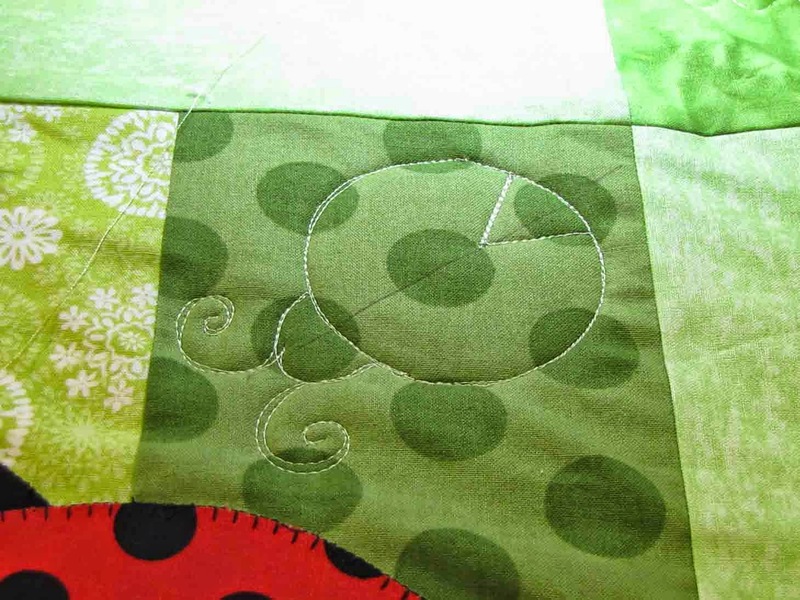 This provides and outline or "skeleton". 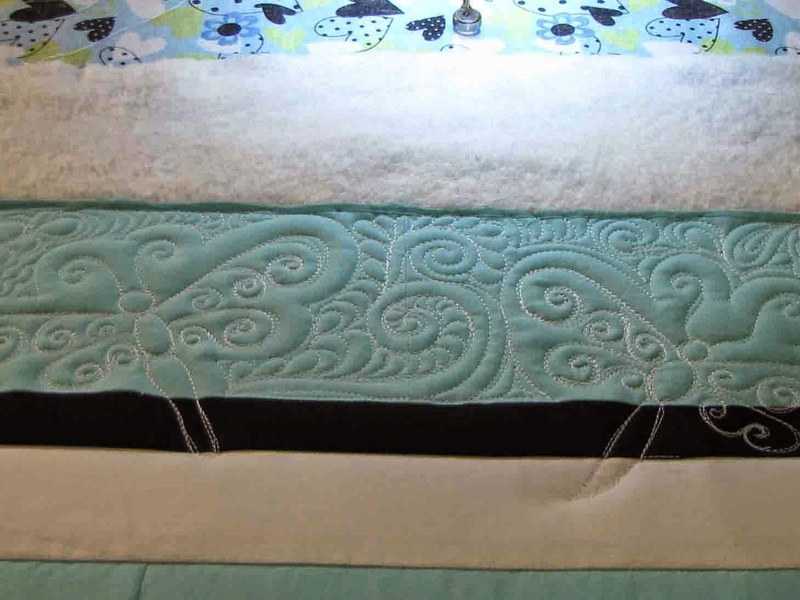 From there - it's all freehand, baby! 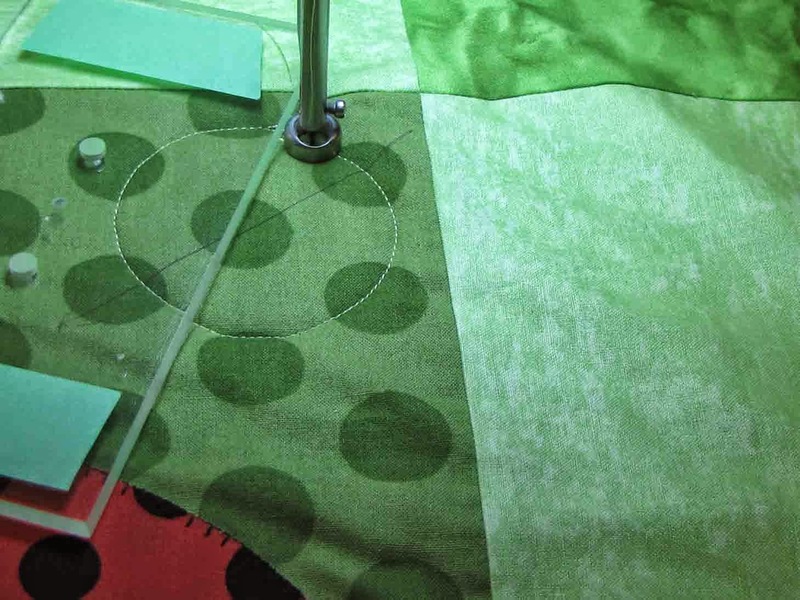 It's like drawing with thread. 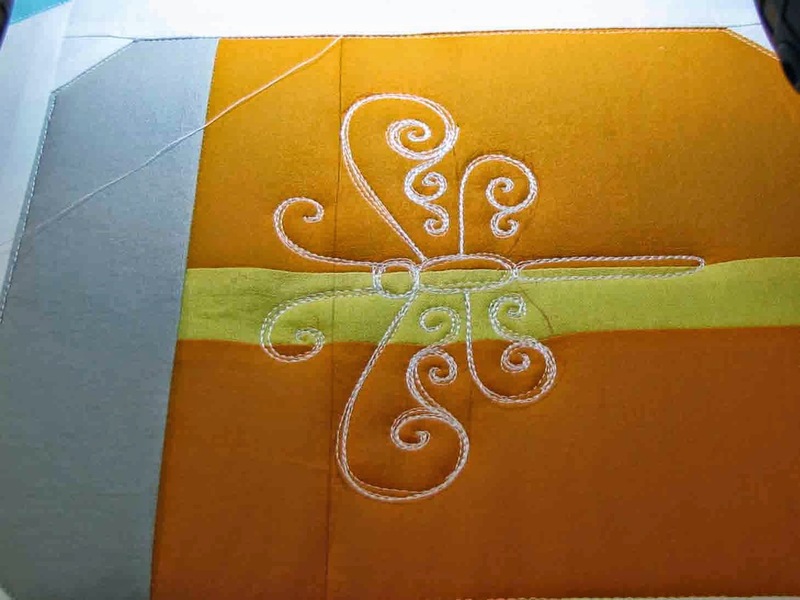 I stitched around the dragonflies three or four times so they show up a bit. 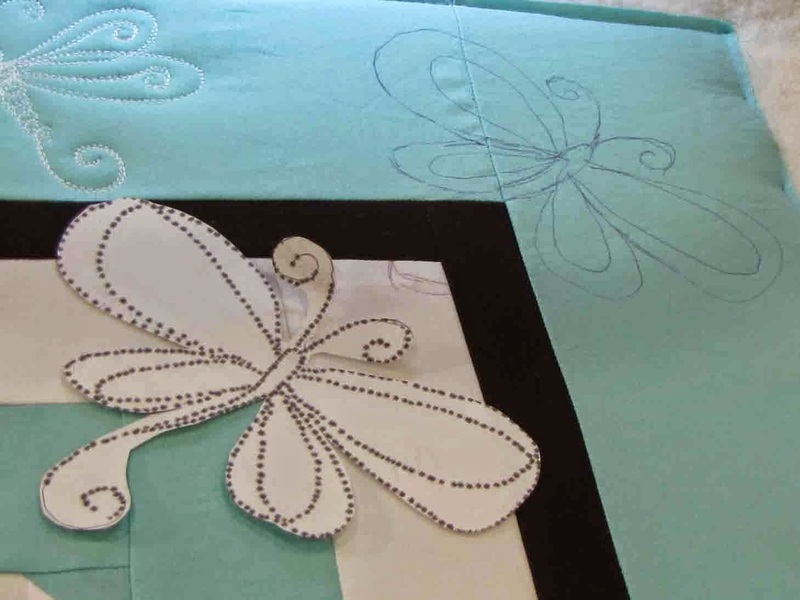 I echoed around the border dragonflies, then filled in around them. 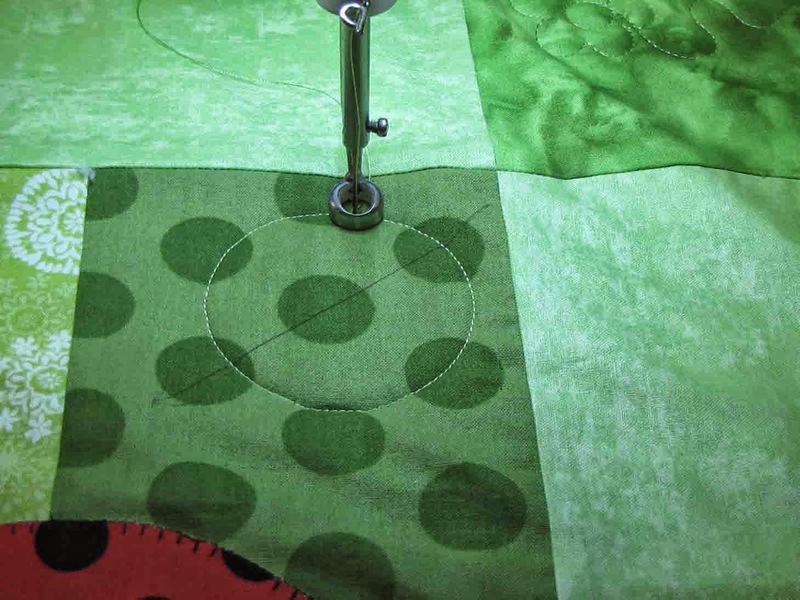 Then I placed my 2 inch circle template in the desired spot using the line as the centre and stitched around the template - twice - so the bugs will show up a bit.